In the heat of the moment when network problems arise, urgency often prevails over security. Break-glass root passwords are issued to empower technicians to console connect to devices and resolve issues, any centralized administrative audit is off-line, and carefully crafted policies intended to protect data are quickly bypassed. This is precisely the circumstance that sets the stage for a serious breach, unintended or not. A WAN router experiences an outage (A) that prevents it from sending local traffic back to the headquarters via its WAN. Both the router and the Uplogix Local Manager (LM) detect the outage. The LM brings up its LTE cellular out-of-band connection when the Pulse test fails and the router changes its default route to be the Uplogix LM (B). The router sends all (or select) traffic through a VPN over the cellular network back to the NOC while the WAN is down (C). The LM builds a VPN over the cellular WAN back to the NOC that is used for all network management traffic to and from the remote site. The router and the LM continue to monitor primary WAN connectivity. When the router detects that the WAN connection is restored, it changes the default gateway for its traffic back to the WAN. When the LM detects a healthy WAN connection, it tears down its VPN and the cellular LTE out-of-band connection, and returns to communicating over the WAN. Maintain and enforce AAA (Authentication, Authorization and Accounting) regardless of the state of the network. Under normal circumstances, Uplogix Local Managers (LMs) integrate with remote multi-factor authentication mechanisms, such as TACACS and Radius, but if connectivity is lost, the LM can failover to other AAA servers before falling back on cached authentication data to maintain authorized access. 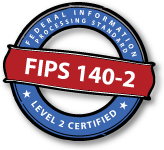 Prevent unauthorized user access by automatically closing idle sessions, eliminating a potential security gap. Uplogix also ensures that the right users have the right access by enforcing granular, role-based permissions. Enable audit and compliance reporting by constantly logging all changes made to managed devices and the results of these changes. Eliminate modem security issues with call-home connectivity. 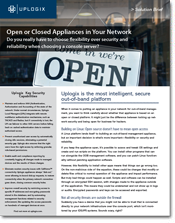 Uplogix appliances always “dial-out,” never allowing in-bound dial-up requests, to restore connectivity when the primary network connection goes down, closing common security holes. Improve overall security by restricting access to specific IP addresses and encrypting passwords stored in the database, and by automating management functions related to security enforcement, like updating the access passwords on hundreds of managed devices at once. Uplogix provides highly configurable and granular role-based administrative access to managed gear. Role-based access controls and complete activity logging (including system prompts and responses) are maintained even when the network is down.